A dress hanging on a clothes line in the garden. The smell of sautéd potatoes in the kitchen. The scouring of the toilet brush as it cleans the bowl. The stammer of the helpdesk employee who is as baffled as you are about what’s happened to your computer. Our daily lives are made up of patterns, rituals, encounters, and events. For some they are familiar and self-evident, for others they are mysterious and obscure. During the Just Another Day festival, artists and thinkers from the art world, science and society will be scrutinizing our everyday existence as a subject and an endless source of inspiration. On 14 February you will experience a range of perspectives on daily life for yourself. You will study how simple actions such as cooking or cleaning house can become the subject of a performance. You will find out how everyday objects and the way they are shaped, the way they smell or taste, can be a comfort. How simple, ordinary things can be lifted from the oblivion that comes with the daily grind. You will learn about the important role of rituals and how these can shape our lives and give meaning to them. You will be amazed at the widely differing ways different people experience the same walk. Or you will come to understand how an absurdist take can help you take a critical approach to everyday life, albeit with a sad smile. In short, this will be a day filled with ordinary and extraordinary experiences, and jam-packed with workshops, lectures, performances and shows. Register via this website from 15 January. (students and ArtEZ employees can attend for free). 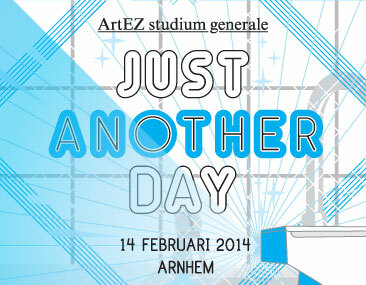 ArtEZ Studium Generale is organising this festival with a range of cultural partners from Arnhem. Club Oostpool+ Just Another Night is programmed and produced by Toneelgroep Oostpool. We are organising an afternoon programme with our partners at Rozet. O.P.A and CASA are helping to set up three workshops. OK Parking is contributing towards our reporting on the festival. And finally, Studio Sonsbeek is sponsoring the closing party. Just Another Day is made possible by financial support of the Gemeente Arnhem. In the workshop SMELL-A-WAY you'll research how you can communicate, seduce, lead and deceive with scents. You use smell as a communication tool and explores different possibilities how you can give meaning and context with scent to a location, a person and / or an object. All participants interact with each other through the sense of smell. Through short assignments,- individually and in group, we'll discover the wonderful communication capabilities of smell. Thijs Hannaart, - biologist, shall talk in a short lecture about the functioning of the senses in the experience of art. How the information from the senses changes the way your brain works. Research shows that it does in many ways. And as an artist you can make good use of it. 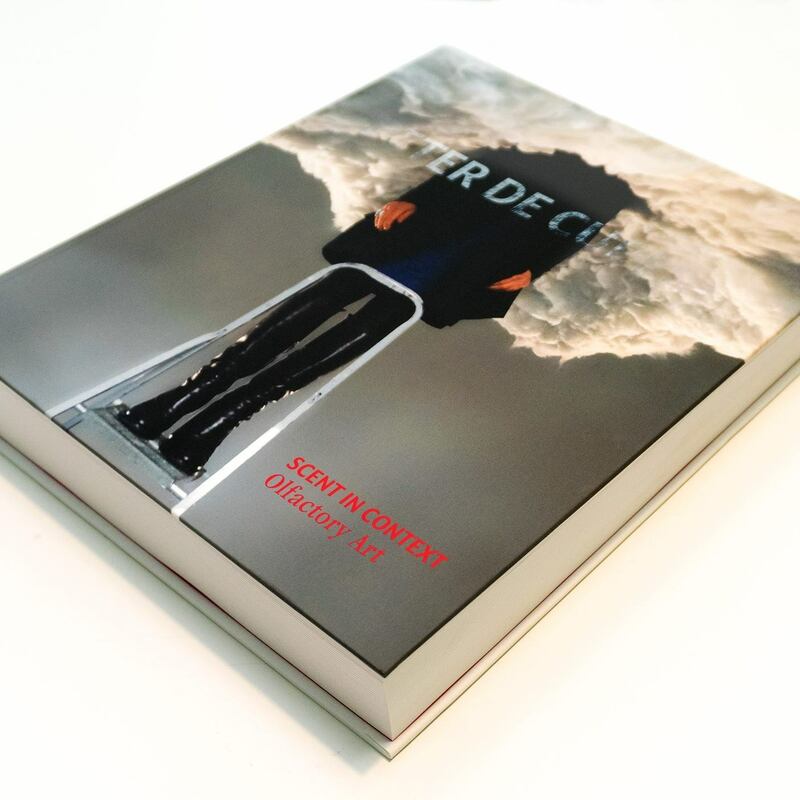 Who is Peter de Cupere ? In de workshop SMELL A-WAY onderzoek je samen met Peter De Cupere hoe je via geur kunt communiceren, leiden, verleiden en misleiden. Je gebruikt geur als een communicatiemiddel en onderzoekt verschillende mogelijkheden hoe je met geur betekenis kunt geven aan een locatie, persoon en/of object. Centraal staat de interactie tussen al de deelnemers. Via korte opdrachten in de groep en individueel ontdekken we al doende de wonderlijke communicatiemogelijkheden van geur. In een korte lezing gaat bioloog Thijs Hannaart in op de werking van de zintuigen bij de ervaring van kunst. Hoe verandert de informatie vanuit de zintuigen je hersenbekabeling? Op vele manieren, blijkt uit onderzoek. En als kunstenaar kun je daar slim gebruik van maken. Wie is Peter de Cupere?